The Hudson and New Port Richey area is bordered by cattle and horse ranches to the east and Gulf waters to the west. The scenic Cotee river runs through the city of New Port Richey and on into the waters of the Gulf of Mexico, an ideal location for snorkelling, scuba diving, boating and fishing. In fact, much of the region is still rural and provides an opportunity to experience the true, natural Florida. 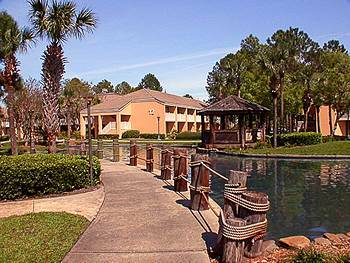 As a villa rental location, the area's main appeal is it's close proximity to Orlando. 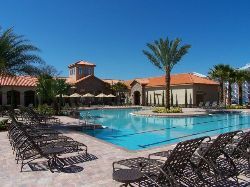 The majority of guests renting a villa in this area are heading to the coast for the second week of their holiday after spending time at the Orlando theme parks, a drive of around 90 minute from Orlando and you will be checking into your rental property. 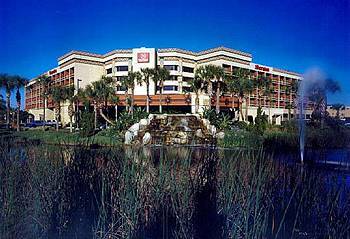 The area is also very close to Tampa and Clearwater (45 minute drive), familiar and popular vacation resorts for UK holidaymakers. As a tourist attraction, the area enjoys a healthy mixture of entertainment, nature and cultural history. Exciting tours run through the enchanting jungle areas of the Cotee River where you will see various local wildlife including alligators and parakeets. The area also benefits from a number of recreational areas and parks and celebrates it's Native American history with various festivals through the year. A very quiet area with very little man-made entertainment, similar to Orlando with it's plethora of fast food chains, jeans and sneaker stores and outlet malls but without the major theme parks. The beaches are small and intimate, often rocky and broken up with inland waterways, not the long sandy stretches found further south but ideal for hiring a boat and exploring the off shore islands. Hudson and New Port Richey are also home to a large number of golf courses, many of our vacation homes are actually built around golf courses. Closest theme park attractions are in the Tampa area, a 45 minute drive will bring Busch Gardens, Adventure Island Waterpark and Tampa Aquarium within your reach. A very popular selection of modern, spacious 2, 3 and 4 Bedroom vacation homes located in very relaxed residential neighbourhoods in and around the New Port Richey area. The main living space is generally one large open area combining both a lounge with sofas and TV, a dining area and a generous sized, fully equipped kitchen. Leading off from the living area will be the master bedroom with oversized ensuite bathroom and either one, two or three further bedrooms which share a family bathroom. Our Gold rated New Port Richey homes are large, modern executive properties on good sized lots often over looking a small lake or conservation area. The homes are impressive detached residences in very friendly, relaxed neighbourhoods, these 3 Bedroom homes are very open and spacious with a variety of imaginative floor plans and all with upgraded furnishings and immaculately manicured lawns and gardens. The main living space is generally one large open area combining both a lounge with sofas, TV and VCR or DVD Player, a dining area and a generous sized, fully equipped kitchen. There is also a second family/sitting area which is a very popular feature with larger groups and families. Leading off from the main living area will be the master bedroom with TV and oversized ensuite bathroom and two or three further bedrooms which share a family bathroom. 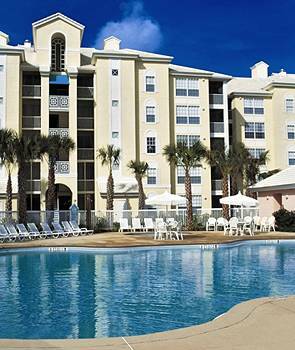 Our Platinum rated vacation homes in the New Port Richey area are some of the largest and most luxurious vacation homes throughout the whole of Florida's Gulf coast. These 4 Bedroom villas are considerably larger than our Silver and Gold rated properties, furnishings are all upgraded to an extremely high standard and floor plans are imaginative and spacious. Guests can expect a deluxe level of accommodation based around an open plan design with high ceilings, bright, contemporary style decor and modern appliances. A great level of attention and expense has been given to the furnishings and details of the villas, the furniture, appliances, pictures and ornaments have all been hand picked to create a very elegant flow throughout the home. The main living space is generally one large open area combining both a lounge with sofas and entertainment system comprising of a TV, DVD player and music system, a dining area and a generous sized, fully equipped kitchen. There is also a second family/sitting area which is a very popular feature with larger groups and families. Of the four bedrooms there are two master suites both with an oversized ensuite bathroom and two family bedrooms which share a large family bathroom. All four bedrooms have their own TV and will often have a CD player or radio. Outside you can relax on the upgraded patio furniture beside the private swimming pool and jacuzzi/spa. The majority (not guaranteed) of the pool areas have private outlooks over conservation or are on corner lots offering an extra level of privacy. All pools are screened with a high mesh cage which allows sunlight through but helps to keep leafs and bugs out of the water.